The Los Angeles Kings' march to a championship was so remarkable, it isn't easy to place in a historical context. Not only was Los Angeles the first No. 8 seed to claim the Stanley Cup, but the Kings' level of dominance en route to the title was even more stunning. They went 16-4 in the postseason, missing a chance to tie the 1988 Edmonton Oilers for the fewest losses since the tournament expanded to need 16 wins in 1987 when the New Jersey Devils won twice to avoid elimination in the Final. Los Angeles did win the first three games of every series for the first time in League history, and doing so as the road team in Games 1 and 2 each time made it even more stunning. The Kings simultaneously became one of the most unexpected and most dominant champions in the history of the Stanley Cup. "This is as good as it can get. I've won world juniors, Calder Cup and now the Stanley Cup," Jeff Carter said. "For a Canadian boy growing up, you dream about winning the Stanley Cup. When you have the chance and it actually happens, it's almost a surreal feeling. Today, bringing it back to my family and friends, it all kind of comes together and it's pretty special." The Kings also had an offseason unlike any for recent Cup champions. General manager Dean Lombardi retained every significant free agent, including unrestricted forwards Dustin Penner and Jarrett Stoll. Every player who dressed for a playoff game is back -- a rarity because champions often face attrition as player values are typically inflated by winning the Cup. Lombardi's big move of the offseason was singing Conn Smythe Trophy winner Jonathan Quick to a 10-year, $58 million contract extension which begins in 2013-14. There is an incredible amount of continuity in Los Angeles, not just from last season to the forthcoming one. Penner, defenseman Rob Scuderi and forward Simon Gagne are the only key guys who can be UFAs next summer, and captain Dustin Brown is the only core player who isn't signed for at least three more seasons. "The first thing you think about as a coach, these guys are all young enough, they've got to try it again," Kings coach Darryl Sutter told reporters just moments after lifting the Cup for the first time. There are sure to be concerns that crop up for Sutter. Quick had what the team called "minor surgery" on his back earlier this month, and he might not be ready for full-time duty in goal by the start of the regular season. While Gagne missed a huge chunk of last season because of a concussion, the Kings were pretty fortunate on the injury front -- especially in the postseason. Another remarkable feat for the Kings in the playoffs was Los Angeles played six defensemen and one goaltender in 20 postseason games. That would be almost impossible to repeat given the rugged nature of the Stanley Cup Playoffs. 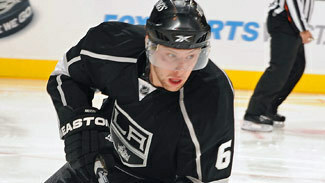 The Kings will also have to deal with complacency, and the idea of reversing recent history. Last season the defending champion Boston Bruins had a terrible first month before bulldozing opponents during a two-month stretch of dominance rarely seen in League history. At that point, the Bruins' chances of repeating looked great, but like the Chicago Blackhawks before them they didn't reach the second round during their title defense. The 2011-12 season was a tale of two halves for the Kings. They were inept offensively and struggling to stay on the edge of the top eight in the Western Conference for the first half, then they were a juggernaut in the second. 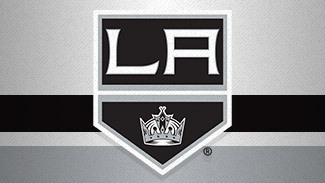 After the Kings acquired Carter for Jack Johnson from the Columbus Blue Jackets (and reports that captain Dustin Brown was available for a possible trade), Los Angeles went 29-9-3 including the postseason run. That's 41 games at a 122-point pace. Expecting a similar rate of success during the 2012-13 regular season is probably folly, as would expecting a similar express route to the Cup. Still, few other elite teams made significant improvements this offseason, and the Kings could very well be the first NHL champ to defend their crown in 15 years.